Block Puzzle Simple but addictive puzzle game! "Block Puzzle" is afun and classic block game! Block Puzzle Jewels 2018 new is a freejigsaw puzzle totally. You can enjoy it everywhere, every timewithout need online. This offline one has game play very simple:just drag, drop and fill up all the grid. But once playing, youcan’t be stopped attracted by this classic brick game. One of themost highlight of this online block mania is design and color. Ithas many beautiful themes for your choice. Moreover Block Puzzle,it has different levels challenge puzzle maker: Simple, hard andexpert. Game has a Ranking board. You can share your achievementwith others. You also share it with your friend via socialnetworks. Block Puzzle is very simple and creative game, you needto only drag blocks and put out space on the board. just like ahexa puzzle game this will easy to play and more fun. Block Puzzle- Best simple, amazing, classic, fun and addictive wood blockpuzzle jigsaw games Block puzzle has a very classical type of gameand there are very amazing natural graphics. Block Puzzle isaddictive because of the crush effects with some amazings particle.--------- The Block Classic Features: --------- - Classical Blockpuzzle Various blocks and colorful graphics - Block puzzle dashgame Smooth and delicate animation - block puzzle tower Casualpuzzle game - Block puzzle wood Simple and attractive - Blockpuzzle forest Get higher score and beat your friends score - Blockpuzzle extreme Beat over the world - Block puzzle dash Amazinggraphics and sound effects - Completely free - Block puzzle classiclegend Good for relaxing and brainstorming - Block puzzle blastSmooth effect for block puzzle game! - Block puzzle new Play easilyand quickly. - Puzzle Block Adventure No limited time to play -Meze puzzle Blocks can't be rotated. - Free Update Games: Hexa,brick craft, wood block mode comming soon • EASY AND FUN TO PLAY -Easy to learn and fun to master gameplay • NO TIME LIMIT JUST ENJOYIN YOUR TIME - Enjoy game for any time, anywhere and a short time.• OPTIMIZED ANDROID & GOOGLE PLAY GAMES - Designed for tablets& any kind of phones. - Support both ARM & x86 DEVICES. -ACHIEVEMENTS & LEADERBOARD from Google Play Games to save yourprogress data. --------- : HOW TO PLAY BLOCK PUZZLE : --------- -Simply drag the blocks to move them - Try to create full lines onthe grid vertically or horizontally. - Destroy particles splashwhen when you create full lines on the snow grid - Try not to leaveblanks - Big blocks are below - Complete multiple lines at oncePlease Enjoy this Block Puzzle in the puzzledom! you will behooked! Download Now. Slide The Ball: slide puzzle is a simple addictive unblock puzzlegame, it makes you keep playing for FREE!Slide The Ball has all theelements. !FEATURES• MAZE PUZZLE: Find the path.• SLIDING PUZZLE: Anessential is for the adult to kids of all ages.• TONS OF EPICLEVELS: You can enjoy the game enough.• NO TIME LIMIT: Play at yourown pace.• NO WIFI? NO PROBLEM! Games you can play offline.• MOREVARIATIONS: Moving, Rotation mode to challenge & Star mode torelax.• USEFUL IN-GAME FUNCTIONS:• RESTART: Just restart a levelquickly.• HINTS : It's a good friend.• Support both PHONES &TABLETS.HOW TO PLAY• GET three stars.• MOVE the balls with yourfinger.• BUILD the path for moving the ball to the red GOAL.• USEthe SPECIAL tiles.• USEFUL IN-GAME FUNCTIONS:• RESTART: Justrestart a level quickly.• HINTS : It's a good friend.Please do notforget to let us know what you think about the game!Let’s go foramazing Roll Ball journey!Let's Roll The Ball. Let's CRUSH THEPUZZLE. LoL ;) .Thank you all for downloading Slide The Ball ! 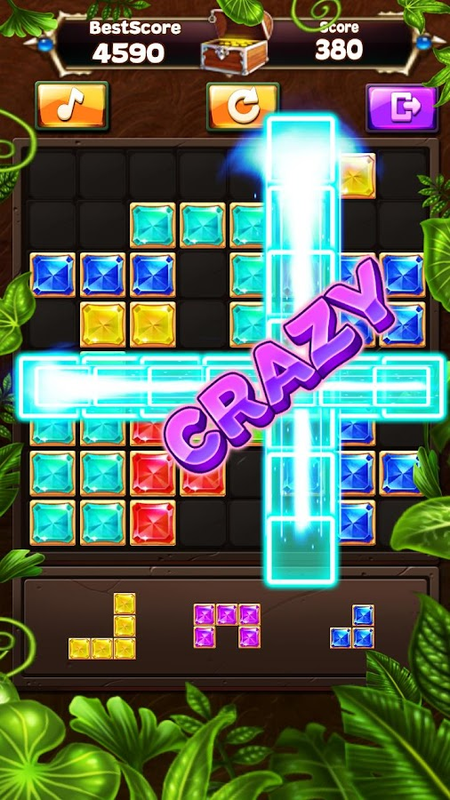 Candy Mania Legend is a totally fresh new puzzle game. Areyouaddicted to match 3 games? Can’t get enough of blasting jellyandcandies on your phone? This game is the latest and coolestmatchthree crush game for your smartphone. Swap three or morejellies towin and advance to the next level. Explore thischallenging jellygames world and win spectacular prizes! Swap andmatch candy, winawesome prizes and clear the board. Download CandyMania Legend,unlock fun bonuses and win levels! the Candy ManiaLegend game hasSpecial, exciting levels we hope you enjoy it. -Objectives differin 200+ different levels. More levels to beexpected soon. - Travelaround brand new worlds: Peppermint Terrace,Grape Dipped Castle,Sweety Italy, Ice-cream Palace, Candy Farm -Classic and addictivematch-3 puzzle game - Swap, switch, slide andmatch 3 or moreadjacent same candies - Beautiful and tempting candydesign withmagic glamour - Play anywhere anytime: Can also beplayed withoutWIFI - Match 4 or more candies to create specialcandies - Usepowerful props and special candies smartly to breakCake, Honey,Gummy Skull, Chocolate, Ice etc. Wander off aroundCandy Cracksugary paradise now! The game has wonderful and cheerfulbackgroundmusic, lovely and creative sweetest candy, very deliciouschocolateball and a colorful lollipop. sometimes you also need tocrush theaddictive jammed cookie. hope you can recall your lusciousdream inchildhood! PLAY NOW and join millions of happy players inthispuzzle game. Tile puzzle – Puppies A large Photo group of Sweet and Cute LittlePuppies. FEATURES: - This game contain Multi levels : - 3 * 3 - 4 *4 - 5 * 5 - 6 * 6 - 7 * 7 - 8 * 8 - You can move any Slice To makethe whole picture. - Simple and intuitive - Improve thinkingabilities - Saves all photo in progress so you can play on severalphoto at the same time - We all can enjoy it. just assemble thephoto and have fun.